Google’s Rs 1200 Worth Physical ‘Security Key’ Is A Massive Success! Google physical security key can be simple inserted into laptops/desktop via USB to authenticate the user and websites. Google has been silently testing a physical ‘security key’, and the results have been astonishing. Very soon, it will be available for sale, and Google is expecting good traction for the same. Meanwhile, Bluetooth has reported some serious security vulnerability in Apple and Intel powered gadgets, and if not rectified or checked, then it can cause severe chaos, all around. Google has build a physical security key, which has been priced $20-$25 or Rs 1300 to Rs 1700 in INR. 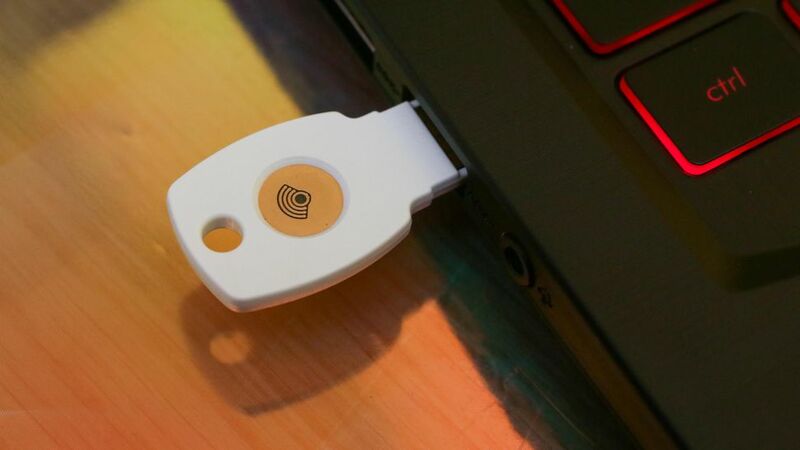 Named as Titan Key, this is a physical device having USB and Bluetooth connectivity with laptops, desktops, tablets and even smartphones. In the tech industry, they are also called as U2F keys (Universal 2nd Factor). This can be programmed to securely log into any device, website or app. Simply insert the dongle, verify that you are the owner, and start accessing your smartphone or laptop. Since December 2017, Google had provided this physical security key to their 85,000+ employees, and the results have been astonishing. None of the employees faced any phishing attack, while they used this physical security key. Besides devices, Titan key can be also used to protect browsers, and currently Firefox, Chrome, and Opera support U2F keys. Services such as Gmail, Google Photos, GitHub, Facebook can be protected via U2F keys. Once a user has enabled this physical security mechanism, then they are not required to enter any password to access their accounts. Titan Key is part of Google’s Advanced Protection Programme. In case anyone enrols into this, then they are automatically disabled from other forms of security checks such as SMS, OTP and 2-factor authentication. The only drawback is that, if stolen or lost, then it can prove to be a major security and logistical hassle to recover the passwords. In the US, Google’s Titan Key will be launched next summer; and as of now, there is no news of its launch in India. Meanwhile talking about security, researchers at Israel Institute of Technology have discovered a serious vulnerability, which can impact millions of smartphones. Users are advised to update their respective operating systems immediately. Apple has already released macOS High Sierra 10.13.5, iOS 11.4, watchOS 4.3.1, and tvOS 11.4 updates for their users. Meanwhile Intel has informed that this security vulnerability impacts Dual Band Wireless-AC, Tri-Band Wireless-AC, and Wireless-AC product families. Checkout more details about this Bluetooth security vulnerability here. "Google’s Rs 1200 Worth Physical ‘Security Key’ Is A Massive Success - What Exactly It Is? ", 5 out of 5 based on 3 ratings.